← Does My Toilet Need to Be Replaced Soon? Freezing temperatures are already affecting parts of the nation. It is okay if you haven’t given any thought to protecting your plumbing around the exterior of your home yet. It only takes a day or two and a small budget to ensure you are ready for winter. 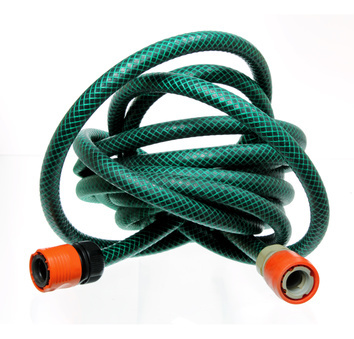 The first item of your attention should be to properly store your garden hoses. They need to be detached from the exterior faucets. The excess water needs to be drained before you store them or you could potentially have a cracked and leaky hose come spring time. The best place to store your hose is in a storage shed or garage. They will still be prone to possibly freezing temperatures, but without water sitting inside to turn to ice, they will be good for use when spring comes around. Around the exterior of your home should be a few faucets. It isn’t enough to just have them turned to the off position. Water is still in the spigot and the narrow pipes along the exterior walls that are prone to freezing far quicker than the wider and thicker pipes in the interior of your home. Plumbers recommend purchasing insulation covers that easily slip onto the faucet. These are around $10 from your local hardware or lawn and garden store. Once you have them, they can be reused year after year. Some geographical locations that experience extremely cold temperatures will require that faucets be turned off from an internal valve. This will allow all of the water to drain out of the pipes that relay water to your exterior spigots. Simply shut off the valve and open the faucets so that all the water drains out. Once you have drained all of the water, turn the faucet off and then you can go back in to turn the interior valve back on. Just don’t use your exterior spigot until warmer weather! Some older homes have pipes that run along the exterior of the homes. These pipes are particularly prone to causing burst pipes. Their exposure makes freezing more likely, but it won’t be those pipes that cause the most damage. This is because pipes burst when the extreme force from the frozen water, that acts like a blockage, continuously causes more and more pressure on the pipe space that is empty. It isn’t from the ice expanding, it is the pressure that builds in the empty space.